Rosemary McDuffee is currently a director and alternative investment specialist, responsible for leading specialist activities nationally within Bank of America’s US Trust Division. Prior to joining the team in 2006, Rosemary was a vice president with Bank of America Securities Debt Capital Markets group, responsible for origination, structuring and syndication of multi-million dollar corporate debt financings. She has earned both the CFA and CAIA professional designations. 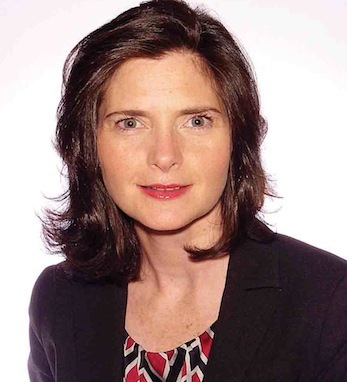 A first-generation Irish American on both sides, Rosemary earned an MBA in finance and accounting from NYU’s Stern School of Business and a BS in economics from Binghamton University. Rosemary’s parents, who came to the U.S. from Cos. Meath and Roscommon, “built their lives on the principles of hard work and perseverance. They instilled in their children the importance of education and service to others. Loyalty to friends and family are always at the heart of the Irish tradition.” She and her husband Bill proudly pass on these values to their daughter, Madelyn, who was born on St. Patrick’s Day.